The interim commissioner of the Canadian Women's Hockey League says finding a way to unite the CWHL and the U.S.-based National Women's Hockey League into one premier North American women's hockey league is a priority for her. "That's the goal: to get to a point where we have all the players in one professional league," Jayna Hefford told The Canadian Press. "Without too much detail, I think the NHL being involved is the best-case scenario. How soon that can happen ... I don't know if that's a one-year thing, a two-year thing." Playing women's hockey professionally in North America isn't lucrative enough to be a full-time job, except perhaps for the U.S. and Canadian Olympians who earn money from their national federations. After the U.S. won gold at the Winter Games in February, a number of players have called for one professional league. The CWHL, which is heading into its 12th season, has six teams split between the U.S., Canada and China. The NWHL began in 2015 and has five U.S.-based teams. Both have different salary and bonus structures, and the nonprofit CWHL has partnered with NHL teams in Toronto, Montreal and Calgary on some of the logistics. NHL Commissioner Gary Bettman has not indicated the NHL will be proactive in helping set up a single league. "Having two leagues makes it more difficult for us to get involved," Bettman said earlier this year on Calgary's 960-Radio. "If there were no leagues, we'd probably start one under the NHL umbrella, and I've told both leagues that. But I have no interest in competing with the existing leagues." NWHL Commissioner Dani Rylan has said only that she is always interested in discussing any proposal to improve women's hockey. The outgoing CWHL commissioner, Brenda Andress, said she always wanted one league and predicts it will happen. "There's been a ton of discussions behind the scenes," she said. "Those are the talks that will continue." "The public has to understand that Dani and I have always had conversations," Andress added. "You can't fault an entrepreneur from owning her own league and from going out and working night and day just like we did of trying to make it survive. She's a for-profit and we're a not-for-profit, so it's not as easy as everybody says." Hefford played 14 seasons for the Brampton Thunder and the CWHL trophy given to the most valuable player is named after her. She ranks second all-time in scoring behind Hayley Wickenheiser on the Canadian women's team with 157 goals, 134 assists in 267 games. Hefford won a combined 11 gold medals appearing in five Olympic Games and 12 world championships before retiring in 2015. 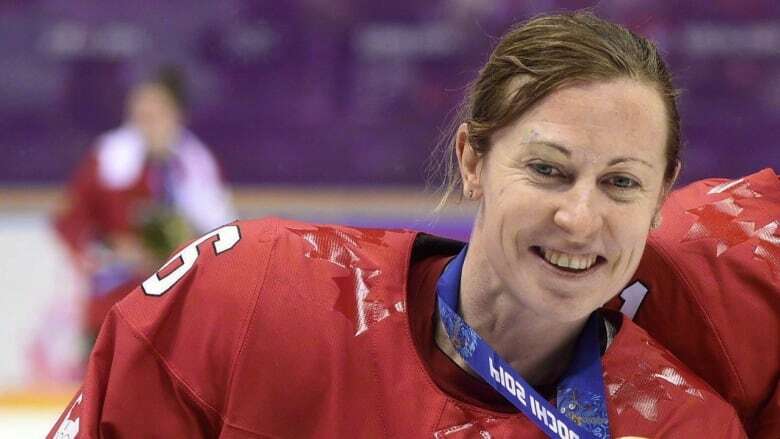 She will become the sixth woman in hockey's Hall of Fame in November. She has indicated she wants the commissioner's job as she picks up the task of trying to combine the two leagues. "I just want to see the sport at a place where I think the athletes deserve it to be," she told CP. "The players have the power. If they want to be in the same league, then we've got to find a way to make that work."